pueri-led has no other items for sale. Immediate payment of AU $10.19 is required. Good item and good service. Will buy again. Speedy delivery. Item as described. Arrived a lot sooner than expected and packaged well. Would recommend. I bought this for a friend, so I only know his input based on his experiences. 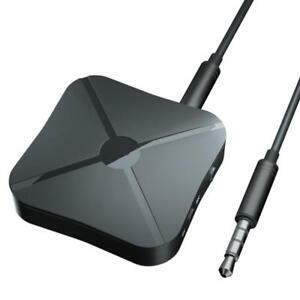 You can use your bluetooth headphones with any TV using this device, saving you hundreds of dollars in a new TV. Both devices have to be searching with no other bluetooth devices within range actively searching as well for it to connect. The sound quality doesn't diminish with this device and the battery lasts as long as the seller advertises, although the battery does seem to be discharging even when it isn't in use. You can use it while it's on charge, but there is a mild buzzing in so doing. The other thing, there are some devices this tranciever won't connect to, probably due to the bluetooth version but I don't know. The product is lightweight, almost unbelievably so. 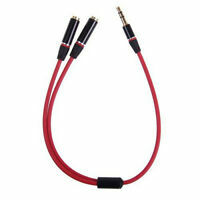 It would be perfect for pocket use with your favorite corded headphones, though upon connecting an aux cables to it, or anything to it, it falls off anything it sits on due to the weight of the cord. This isn't so much of an issue, but without knowing how well it would survive the fall, there are adhesives to rectify this. There are two peculiarities I should address. First, the charging port is directly opposite the aux out/input port, meaning it is a little awkward using the device while it's charging. Second, that there's something loose inside it and it's believed it might be the battery. It still works, it just sounds like an unopened christmas present when you shake it about. Overall, for the price you can't go wrong. 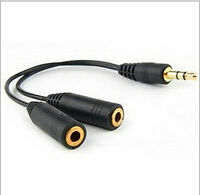 I have a theory that you could use multiples of these with an aux splitter, which might be a game changer if more than one person wants to watch TV with their bluetooth headphones. If you want to watch your shows on a bigger screen without annoying your neighbours (or god forbid, if they want to watch it with you), this is the device for you. Works like a charm. Audio quality (to my ears) is excellent. Small and inconspicuous.